DUNCANVILLE–Fit and Faithful Living is hosting its Woman of Honor Empowerment Conference on Saturday, October 1, 2016, from 10:00 a.m. to 10:00 p.m. 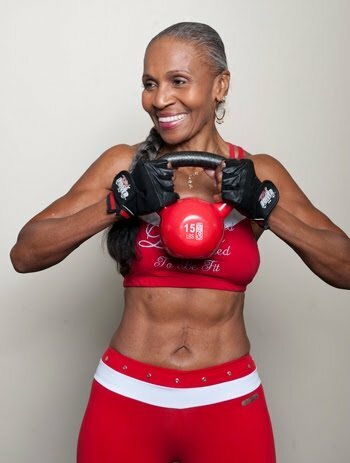 It will feature 80-year-old Ernestine Shepherd, the Guinness Book of World Records Oldest Performing Female Weightlifting Champion. The series will be held at the Hyatt Regency North Dallas hotel located at 701 East Campbell Road in Richardson, Texas 75081. The daylong event is focused on helping women break the chains of unhealthy habits. The Empowerment Conference includes speakers who will educate and empower women to live healthy lifestyles that include regular physical activity, good nutrition, and mental wellness. The events include dinner and a birthday reception to celebrate Ernestine Shepherd’s 80th birthday. The Duncanville resident will share how she transformed herself from an average middle-aged woman in her late 50s into a bodybuilding diva at 80.The personal trainer, professional model, and competitive bodybuilder says she is happier and more fulfilled than she’s ever been in her life. Certified Life Coach and founder of Fit and Faithful Living LaChanda Dupard, who with 25 years of marriage experience, will speak on how to strengthen your marriage. Professional Life Coach Kofi Williams will speak on accepting and loving yourself while single and/or divorced! Professional Life Coach Dr. Gretchel Johnson will speak on her healing process after unexpectedly losing her husband and becoming a widow. Author and workshop presenter Beverly L. Robinson will share her journey of how she survived sexual assault and learned to live a life free from guilt. Young entrepreneur Brandi Thompson will speak on launching your business and building your brand! Licensed therapist and Breaking Chains Life Classes group leader Donetta Beasley, LCSW will join the speakers during a Q&A panel session. Among the participants will be graduates of Fit and Faithful Living’s Breaking Chains class. Italia Anguiano learned to break the chains of sexual abuse she had been carrying since she was a child. She stopped being a victim and learned to take action to meet new life goals.